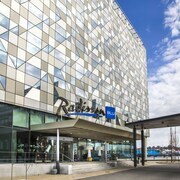 Radisson Blu Scandinavia Hotel is located in the heart of Gothenburg, next to the main train station, public transport, shopping, and attractions. We stayed six nights. The hotel room was quite small and old but we had all we needed there. The breakfast was very good and the soup in the evening as well. The distance to city center is walkable but takes at least 20 mins. Overall we had an enjoyable stay there. Good value for the money paid. Quirky, friendly, funky. A great place to explore a wonderful city. Where to find Gothenburg hotels near an airport? How can I find hotels in different Gothenburg neighborhoods? 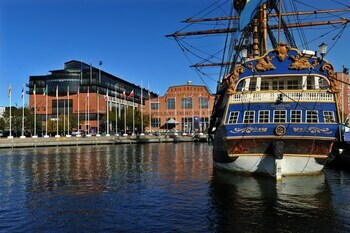 Where can I find hotels in Gothenburg that are near tourist attractions? If you're thinking of taking a vacation in the Southern Sweden area and you want to book a hotel in Gothenburg, you have a wide list to choose from. Expedia offers 71 short- and long-stay options within 0.1 kilometres (0.06 miles) of Gothenburg's center. Location is everything when it comes to stress-free vacationing, so check out the Hotel Pigalle and Avalon Hotel, which you'll find within 1 kilometre (0.6 miles) of Gothenburg's city center. 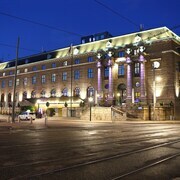 The suburb of Gothenburg City Center, a popular hotel area in Gothenburg, offers 48 places to stay. It is 0.5 kilometres (0.3 miles) from the main part of Gothenburg and is one of the most popular hotel areas, Some examples of Expedia-listed hotels in Gothenburg City Center are the Scandic Opalen and Quality Hotel Panorama. Inom Vallgraven another prominent Gothenburg hotel district is 0.4 kilometres (0.2 miles) from downtown Gothenburg. 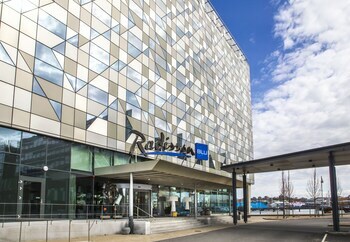 Some of the more popular Inom Vallgraven accommodations include the Elite Plaza Hotel Göteborg and Radisson Blu Scandinavia Hotel. Another popular place to stay is Molndal. Molndal offers the Scandic Mölndal and Good Morning Mölndal. Or, try Stenungsund, where you'll find the Stenungsbaden Yacht Club and Hotell & Restaurang Solliden. The Hotell Fars Hatt and Nordiska Bed & Breakfast can be found in Kungalv, while Scandic Backadal and Elisero Hotel are part of the Hisings Backa area. 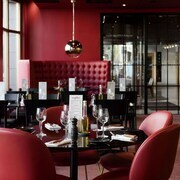 Accommodation options that are near the City Museum include the Clarion Hotel Post, Gothenburg and the Hotel Riverton. The Hotel Flora and Hôtel Eggers are handily situated just a stroll away from the Botanic Gardens. The Liseberg Amusement Park, another important Gothenburg attraction, is close to the Clarion Collection Hotel Odin and also the Hotell Onyxen. 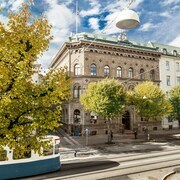 Accommodations that are within walking distance of the Universeum include the Elite Park Avenue Hotel as well as the Hotel Opera. 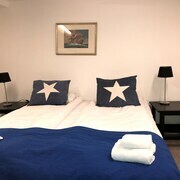 If you're traveling on a tight budget, you'll be pleased to learn that there's a reasonable selection of mid-to-low-budget rooms and apartments in the vicinity of Gothenburg. 0.9 kilometres (0.6 miles) away from Gothenburg's heart you'll find the Hotell Barken Viking. The Scandic No.25 is only 0.9 kilometres (0.6 miles) away. The Aspenäs Herrgård and the Scandic Backadal are alternative lower-cost accommodations worth investigating. The Hällsnäs is located 13 kilometres (8 miles) from the middle of Gothenburg. Another accommodation option is the Quality Hotel 11, which is located 3 kilometres (2 miles) away. More places to stay worth checking out include the Best Western Hotel Halland and the Radisson Blu Riverside Hotel, Gothenburg. Like to go a little further afield? Southern Sweden has many attractions. Southern Sweden offers forests and lakes, and commonly visited Southern Sweden destinations include old towns. Fun-loving visitors can also try snowboarding, skiing and hiking here. 0.5 kilometres (0.3 miles) away from Gothenburg is Gothenburg City Center, where visitors can enjoy Folkteatern and Gothenburg Cathedral. 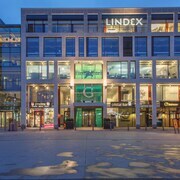 The Quality Hotel Winn Goteborg and Hotell Liseberg Heden are just some of the Expedia-recommended short and long-stay alternatives in Gothenburg City Center. Alternatively, you could consider staying at Molndal, 6 kilometres (4 miles) to the southeast of Gothenburg, where you can pick from the Gothia Towers Hotel and Scandic Rubinen. While in Molndal, a couple of places to add to your itinerary are the Hills Golf Club and Gunnebo House and Gardens. Landvetter Airport is located 20 kilometres (12 miles) from Gothenburg. Travelers who choose to stay nearby, you can easily secure a night at the Landvetter Airport Hotel or Flygplatshotellet. What are the most popular Gothenburg hotels? Are there hotels in other cities near Gothenburg? 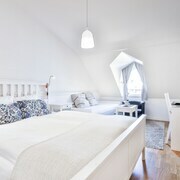 What other types of accommodations are available in Gothenburg? Explore Gothenburg with Expedia.ca’s Travel Guides to find the best flights, cars, holiday packages and more!